Sandage Law LLC represents individuals and corporations in criminal actions regarding securities fraud, insider trading allegations, false statements on financial statements, and misstatements to investors. These actions can involve investigations from multiple agencies including the SEC, a state securities commissioner, the United States Attorney’s office, and a state’s Attorney General’s office. 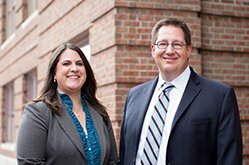 We also represent clients against charges of Foreign Corrupt Practices Act (FCPA) violations, bribery, bid-rigging schemes, contracting and program fraud, and public corruption, as well as allegations of computer crimes including computer hacking and cyber theft. Sandage Law LLC represents clients during all stages of government investigations — responding to grand jury and administrative subpoenas, requesting business records, requesting witness and expert testimony, and responding to requests for interviews by law enforcement agencies. Where an internal investigation and government investigation merge is where Sandage Law is able to achieve results, sometimes leading to the government’s decision not to pursue criminal charges or place the investigation into public view. If criminal charges are filed, our team has extensive experience in defending white collar crimes in court. We guide clients through their options, assist in plea negotiations, and help the client understand the federal sentencing guidelines and how they apply in each case. Sandage Law has experience in all types of white collar matters including mail and wire fraud, securities fraud, false claims, health care fraud, environmental violations, bribery, bank fraud, computer crimes, tax evasion, and mortgage and lending fraud. In complex white-collar matters, the government’s case usually rests on the intent of the client. That intent can only be addressed in the analysis of lengthy financial documents, complicated accounting procedures, and testimony from experts in very specialized areas. The firm is often able to resolve such matters before charges are ever filed. Working exclusively in the criminal law area, Sandage Law provides solid, effective legal counsel to those who have been charged with a white collar crime. Criminal litigation can be a simple or complex matter depending upon the nature of the crime committed. Our team of attorneys offers the experience, skill, and necessary knowledge to defend those accused of any type of criminal offense in Missouri, Kansas, or federal court. We have the exceptional legal skills and abilities to achieve results for our clients. Contact us today for a consultation.